After the New York Knicks parted ways with Enes Kanter and Wesley Matthews, they were left with three open roster spots. After the Knicks signed John Jenkins to a 10-day deal, the Knicks still have two open roster spots. So, who could the Knicks sign? Billy Garrett is a 6’6 guard that currently plays for the Westchester Knicks. In a double-overtime win for the Knicks G-League team a few days ago, Garrett scored 39 points. Garrett is averaging nearly 15 points a game. Garrett was recently named G League player of the week. Warney has played this season for the Westchester Knicks after attending the Stony Brook on Long Island. Warney does have a few games of NBA experience as he played three games for the Mavericks in 2017. This season in the G League the 6’7’’ Warney is averaging nearly 16 points a game in thirty minutes per-game. If the Knicks feel that they need more of a scoring forward over a guard they could extend a ten-day deal to Jameel Warney. 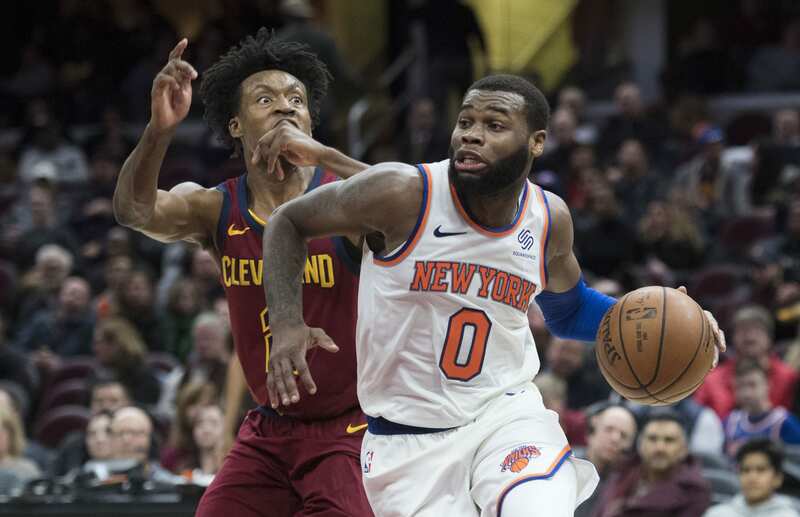 Kadeem Allen is coming off a 25 point outing as the Knicks lost to the Cavs. Allen, a second-round draft pick of the Celtics in the 2017 NBA Draft is currently on a two-way contract. That contract was previously owned by Allonzo Trier. The two-way contract that Allen is on is prorated to an unknown amount of days less than the standard amount of 45 days due to Trier being in that two-way slot previously. Allen’s two-way contract will expire within the next month and the Knicks will have to decide on his future. If I were in Scott Perry’s shoes, I would not sign these players to ten-day deals, but instead, I would sign them to multi-year partially guaranteed deals. The Knicks can save money for there free agency splash by signing young players to low guarantees for next season. Every team must pay an incomplete roster charge if it has 12 or fewer players under contract during the offseason. The incomplete roster charges are about $350K per roster spot. If the Knicks were to sign these young players, say Kadeem Allen and Jameel Warney to contracts guaranteed for the rest of the season, with a partial guarantee, maybe $50K for next season that would eliminate two incomplete roster charges, and save the Knicks $600K dollars on free agency next season. Not much savings, but $600K, is $600K. With maybe a game or two left in the season the Knicks could waive Mario Hezonja, Lance Thomas, Noah Vonleh, and any other player on an expiring contract to try and save more money for there run in free agency. If the Knicks did this for every player that had an expiring contract they would be able to save a few millions dollars, which might help them come July.